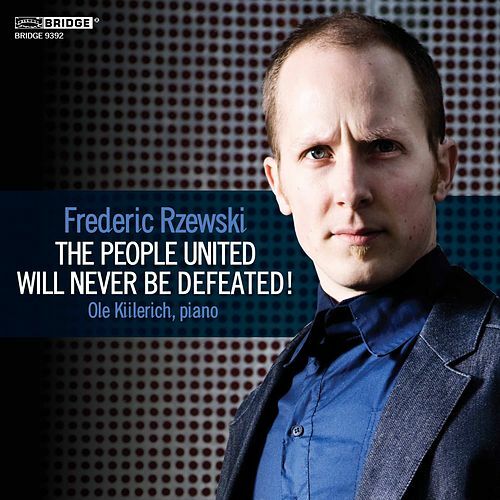 Frederic Rzewski's own account of his major piano essay -- a piece that wants to box with Beethoven's Goldberg Variations, while also appropriating a Chilean work song as the basis for political protest -- remains an essential recording. But Ole Kiilerich offers a valuable new perspective: It's less obviously harsh-sounding (though Kiilerich does bang on the piano when required). Yet even in the lovelier moments, the pianist doesn't seem to forget the tension inherent in the work. Recordings like these are what it takes to keep a modern piece in the repertoire -- and Rzewski's deserves that.